Reaction to The Rifter® #75 has been strong, the Hell Followed™ sourcebook for Dead Reign® is about to go into layout, Rifts® CS Arsenal™ is in full swing production, and Halloween was fantastic. I hope yours was as well. For Kathy Simmons and I, Halloween is as big as, or bigger than Thanksgiving and Christmas. We create a sprawling Halloween display complete with scenes and excruciating detail. There are more than 100 life-sized figures and we get lots and lots of people. Toss unseasonably warm and dry weather into the mix, a feature article in a digital newspaper and ever increasing word of mouth, and we had our biggest and best Halloween ever. From Friday through Halloween, we estimate 6,000+ people walked through our and the neighbor’s front yards (they have a very nice and large display too). Kathy and I sat out there every evening talking with the hundreds of people an hour and handing out candy. It is a wonderful feeling to see the joy our displays bring to so many people. And not just kids, but teenagers, adults and grandparents. Awestruck and delighted by all the sights and sound, and subtle scares. It warms the heart and makes you feel proud and humbled to be the source of so much fun and happiness. Incredible. For me, the joy is not just the thrills and laughter we bring to thousands and thousands of children of all ages, but seeing the joy it brings Kathy. She puts her heart and soul into this display. She makes most of the figures, sets them up, lights them and makes sure there is candy every night of October. Her kindness and sweet nature is alive in that magnificent display born from her imagination and love. Sure, I help in a lot of ways, but Halloween is Kathy’s time, and she just beams like an autumn sunrise. We got three compliments this year that were jaw dropping. The best of all, being the last. 1. A couple of people who used to work at one of Michigan’s best Haunted Houses told us our display was as good as any haunted house they had ever seen, and better than most. Wow. 2. The online newspaper listed 17 Things You Must Do Halloween Weekend. Our two displays (Kathy’s and our neighbor’s combined) were listed as Number Three! 3. A group of people told us that we not only captured the spirit of Halloween, but that as far as they were concerned, “This is Halloween.” Amazing. Just amazing. Even though I’m a part of this wonder, I send my love and congratulations to the two ladies of Halloween, Kathy and Alice. You inspire us all. Thank you for making the month of October magical and dazzling. I will never forget this Halloween. The Rifter® #75 is fueling imaginations and providing insight on how to run games and create adventures for Rifts®, and any game setting, really. The Rifter® #75 is a hot item in recent orders and Surprise Package requests. I highly recommend it. It is almost entirely “official” source material and packed with adventures and gaming advice, examples and rules clarifications by Carl Gleba and me, Kevin Siembieda, plus the next chapter in the sweeping Splicers® adventure and source material by Charles Walton II and company, a Rifts® setting in Canada, a preview of Rifts® for Savage Worlds, news, and coming attractions. If you don’t subscribe to The Rifter®, do yourself a favor and pick up this issue. Seriously. Every player and Game Master who has seen the material in this issue went gonzo over it. 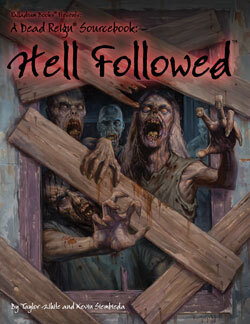 Hell Followed™ is intended to take the Dead Reign® setting to a new level as it starts to explore life during the Zombie Apocalypse in areas you do not see in movies and television. Final edits are almost done, and layout is about to begin as I put the last finishing touches on the section about Death Cults. The conspiracy theories about the government, the possible survival of government enclaves, and their plans to survive the Zombie Apocalypse are fuel for countless adventures all by themselves, but there is so much more. A host of NPC villains and heroes you can drop into your game, build upon and run with, cults, masked lunatics, new zombies, emergency relief centers, natural disasters, and many, many random tables fill this 160 page sourcebook for Dead Reign®, the largest sourcebook for the setting to date. There are many great ideas for players and Game Masters alike. Some of which could be dropped into Rifts® or Heroes Unlimited™ with a little tweaking. More for the Dead Reign® RPG series is already being developed for release in 2017. As noted last week, The Rifter® #76 is already in final development. 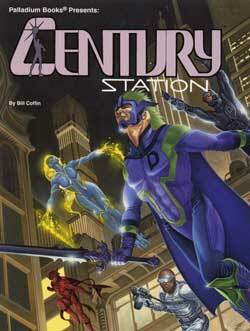 Greg Diaczyk’s Elemental Primordians™ will appear this issue (official source material for use with Palladium Fantasy®, Rifts®, Phase World® and the Three Galaxies, as well as other settings), along with Brett Caron’s Rifts® Pecos Empire™ adventure setting, the next chapter in the epic Splicers®: I am Legion™ mega-adventure, some Heroes Unlimited™ material and other good stuff. Art is mostly done or underway. At least half of this issue is “official” source material. It will be yet another fun, suspense- and monster-filled issue. Cover by Nicholas Bradshaw. As soon as Hell Followed™ goes to the printer next week, I will dive into finishing CS Arsenal. Charles Walton is already thinking up concept sketches. More artwork will be assigned to artists next week. This is another book that will surprise and delight. The ideas in this book will blow people’s minds. Atlanteans next. More artwork is being assigned and editing being completed. Rifts® Secrets of the Atlanteans™ presents background on the Atlantean tribes and the addition of Crystal Magic and Shadow Magic. I saw some more Sovietski concept artwork that rocks. 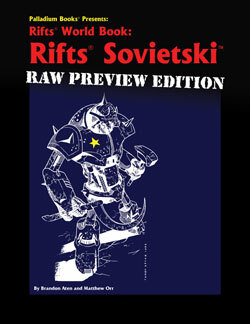 You don’t have to wait to see what is coming in Rifts® Sovietski™. You can see the complete, submitted manuscript in Rifts® World Book: The Sovietski™ Raw Preview Edition, available now on a first-come, first-served basis. 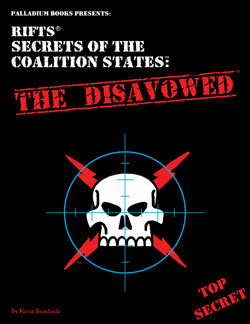 Only 150 copies were printed as a limited edition advance preview of the complete, submitted manuscript for this book. The Sovietski™ Raw Preview is a hefty, 160 pages of source material, cyborgs, gear and combat vehicles. Be the first to know what’s coming in Rifts® Sovietski™, planned for release early next year. Sold on a first-come, first-served basis while supplies last. Get yours before it is gone. RRT is ever on our minds as we gear up to for the release of Robotech® RPG Tactics Wave Two in 2017. There are no final details or dates we can yet release, but 2017 is a must for the release of Robotech® RPG Tactics™. Things are still fluid and changing. In the meanwhile, we are continuing to offer support by way of Robotech® RPG Tactics™ game cards every day on DriveThruRPG.com, and more coming down the pipe. Things like the force organization chart and other RRT related materials, and game support and events for next year. People are enjoying the Christmas Surprise Packages, and we’re happy to be doing them. Keep those orders coming. What is a Palladium Christmas Surprise Package? A bargain and fun for you, it’s our way of saying thank you to our loyal fans, delivering a little Christmas cheer, and putting smiles on the faces of some big kids around the world. For you, it is a great way to get presents for your gaming pals, fill holes in your collection, or try new games and settings. Palladium’s Surprise Package is tailor-made just for you. And if you request autographs we will sign every single one of your books. For many gamers, this is the only way to get autographs. And for our fans overseas, this is a way to mitigate the shipping costs plus get autographed books. Sweet. It is our way of saying thank you and showing our appreciation to the greatest fans in the world. See the complete description elsewhere in this Update or click to the description in the online store. Merry Christmas. Enjoy. Savage Worlds players: This is your chance to learn much more about the Rifts® setting by purchasing one or more Christmas Surprise Packages to get any number of core titles at discount prices (with autographs if you want them). Titles like the Rifts® Ultimate Edition (core rules), Coalition War Campaign, Coalition Navy, D-Bees of North America, Rifts® Adventure Guide, Rifts® Chi-Town Anthology Book (short stories), and dozens and dozens of other fun titles like Rifts® Psyscape, New West, Spirit West, Australia and many more. Those of you who know how good this offer really is, please pass the word on to the Savage Worlds gamers. Rifts® Mercenaries, MercTown™, and Merc Ops™ are all available now, as well as ALL Robotech® RPG Tactics™ game cards, Robotech® and Rifts® Paper Miniatures along with Rifts® Lemuria, Rifts® Triax Two, The Rifter® #1-69, Rifts® World Books 1-30 and many other Rifts®, Heroes Unlimited™, Palladium Fantasy®, Nightbane® and other game line titles. New Robotech® RPG Tactics™ material will be made available in the weeks ahead. 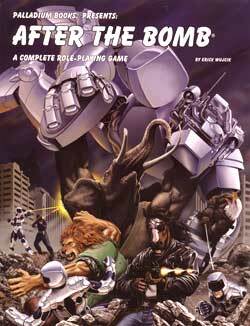 All of it adds to the growing list of Rifts®, Robotech® and other Palladium RPG game titles available as PDF books, cards and support. A new title should be getting added every week or two through the end of the year, so watch for them. Robotech® RPG Tactics™ Wave 2 Paper Game Pieces, and all RRT game cards, join Rifts® Ultimate Edition and 160+ other PDF Palladium titles, RRT stuff, G.M. helper kits and free material on DriveThruRPG.com right now! More Rifts®, Robotech® and other Palladium game titles, paper miniatures and fun are coming to PDF in the weeks and months ahead. Watch for them. Recent PDF titles include Rifts® Ultimate Edition, Rifts® Lemuria, Rifts® Triax 2, Rifts® Mercenaries, MercTown™ and Merc Ops™, Rifts® World Book 30: D-Bees of North America™, Rifts® World Book 29: Madhaven™, Rifts® World Book 28: Arzno™, Rifts® World Book 27: Adventures in Dinosaur Swamp, Rifts® World Book 26: Dinosaur Swamp, World Book 25: Rifts® China Two, and World Book 24: Rifts® China One, among many, many others. There are also previews of Rifts® CS Heroes of Humanity™, The Rifter® #73, Northern Gun 1 & 2, Lemuria, Rifts® Vampire Kingdoms, Bizantium and many other Palladium titles. Check back every week to see which new PDFs of Rifts® World Books and other titles have been added! Rifts® Ultimate Edition, Rifts® Mercenaries, MercTown™ and Merc Ops™, Rifts® Lemuria, Rifts® Triax 2, Rifts® World Book 30: D-Bees of North America™, Rifts® World Book 29: Madhaven™, Rifts® World Book 28: Arzno™, Rifts® World Book 27: Adventures in Dinosaur Swamp™, Rifts® World Book 26: Dinosaur Swamp, Rifts® World Book 25: China Two, Rifts® World Book 24: China One, Rifts® World Book 23: Xiticix Invasion, Rifts® World Book 22: Free Quebec, Rifts® World Book 21: Splynn Dimensional Market, Rifts® World Book 20: Canada, Rifts® World Book 19: Australia, Rifts® World Book 18: Mystic Russia, Rifts® World Book 17: Warlords of Russia, Rifts® World Book 16: Federation of Magic, Rifts® World Book 15: Spirit West, Rifts® World Book 14: New West™, Rifts® World Book 13: Lone Star™, Rifts® World Book 12: Psyscape™, Rifts® World Book 11: Coalition War Campaign™, Rifts® World Book 10: Juicer Uprising™, and Rifts® World Book 9: South America 2 along with World Books #1-8 and various other Rifts® titles. More artwork, books and toys are being added this weekend along with several new, iconic Kevin Long Rifts® illustrations. All sorts of Palladium collectibles, hardcovers (BTS, Lemuria, Rifts® Silver, RUE Gold, etc. ), out-of-print titles, original artwork, and toys and items from my personal collection on my ebay store. We add items on a regular basis and offer sales, so check it out from time to time. Includes one-of-a-kind original artwork, prints, Rifts® and Robotech® artwork by Kevin Long, me and others. There is also a range of limited editions, rare book titles and limited edition hardcovers, toys and more available with frequent new items added. Items include original art, out-of-print titles, redlined proofreader photocopies signed by me and the staff, signed manuscripts with editors’ corrections, some original art, hardcover books (including Rifts® Lemuria, Northern Gun™ One, Northern Gun™ Two, Megaverse® in Flames™, Beyond the Supernatural™ Gold, Rifts® Machinations of Doom™ Gold and Rifts® Ultimate Gold), hundreds of toys and action figures, all from my personal archives and collection. Take a look every weekend or two for new items added. The Rifter® #75 is fueling imaginations and providing insight to running games and creating adventures for Rifts® and Splicers®; Hell Followed™ for Dead Reign® is taking the Dead Reign® setting to a new level. Things are boiling for Robotech® RPG Tactics™, and upcoming Rifts® titles are setting up big things for Rifts® in 2017. The energy and ideas generated at Palladium Books these past months are about to explode onto the pages of books as they come your way this holiday season. NEW! The Rifter® #75 – Available now! 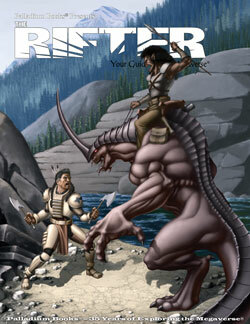 The Rifter® #75 is shipping now! Every issue of The Rifter® is an idea factory for players and Game Masters alike – but his issue is especially packed with material for building and running adventures, and discovering – or rediscovering – the joy of role-playing games. Everyone should get this issue. Rifts® Primer – G.M. and Player Tips, and a Rifts® Adventure, by Carl Gleba and Kevin Siembieda – “official” source material. The Rifts® Primer is jam-packed with G.M. advice, player tips, personal experiences, and examples of game play, explanation of rules, a step by step outline for creating your own adventures, and two adventures to get you started. The sample adventure is written in such a way that new players who have never played Rifts®, or are completely unfamiliar with the Palladium game system, can run it with just the information presented in this article! New Game Masters and experienced G.M.s alike will enjoy the discussion about the art of role-playing and being a Game Master. Splicers® – I am Legion, Part Four, by Charles Walton II, Chris Kluge and Lance Colley – “official” source material. The adventure continues as Legion reveals part of her sinister plans to your heroes which brings this adventure to a fever pitch. Your heroes must make difficult decisions and must find a way to stop her and her array of deadly machines. Plenty of psychological and horrific terrors to face. Includes a horrifying new machine and more. Do not miss this new chapter as heroes fight against Legion and her army of deadly machines. 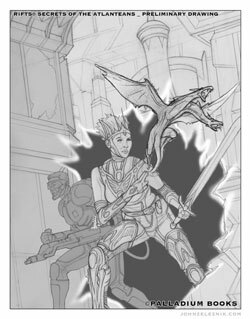 Rifts® for Savage Worlds® Preview®. Get a look at the cool Rifts® RPG that uses Savage Worlds® rules. The game was a smash Kickstarter hit, and will be arriving on store shelves in the beginning of 2017. 96 pages – $13.95 retail – Cat. No. 175. Now available! 160 pages – $20.95 retail – Cat. No. 236. In final production. A.W. 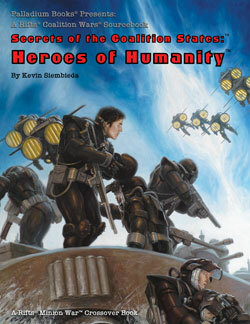 in Friendship, Wisconsin, writes (in part): Hi again, Kevin and all the rest at Palladium Books. Thanks so much for the Christmas Grab Bag sale. The one I ordered last month exceeded my expectations, so I’m happy to order another one for November. Very excited to complete my Dead Reign® and Nightbane® collections! ... Whatever else you feel is right to throw in or want me to try out I am happy to receive. Very happy with the work and service of Palladium Books. Thanks again, all of you. R.S. in Lake Mary, Florida, writes: Thanks for doing the Surprise Packages again! I’m wanting to start a new Rifts® campaign this winter for some of my buddies. I am wishing for some new world books to fill my collection and to help get those creative juices going! Thanks and best wishes to all of you at Palladium. J.D. in Pullman, Michigan, writes (in part): I would just like to say I am a big fan and have been a loyal customer since I was a teenager. I have a large collection of Rifts® books and some Palladium Fantasy® editions ... Again, I appreciate all your hard work and awesome ideas over the years. F.C. in Colorado Springs, Colorado, writes: Just want to say that this is an amazing idea that more organizations should do! Thanks so much. K.S. in Raymond, Washington, writes: Can’t wait to see what’s in the Christmas Surprise Package! You guys rock! M.B. in Plant City, Florida, writes: I’ll be leaving the US on November 27, so I really hope you can get the package to me before then! The 2016 Palladium Christmas Surprise Package Offer begins now! Every holiday season, starting in October, for the last 18 or 19 years now, Palladium has been offering the Christmas Surprise Package. Our humble efforts to show our appreciation of you and help make your Christmas filled with a little more fun and games. It is our way of saying thank you to our loyal fans, deliver a little Christmas cheer, and put smiles on the faces of some big kids around the world. For you, it is a bargain, a great way to get presents for yourself and your gaming pals, fill holes in your collection, try new games and world settings, and to get autographs from Kevin Siembieda and available Palladium staff and freelancers. 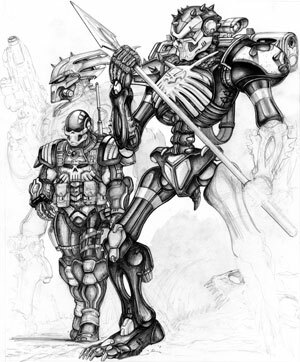 $89-$95+ worth of Palladium Books products for only $45 plus shipping and handling. You are guaranteed to get an absolute minimum of eighty-nine dollars ($89) retail value in your Surprise Package. Often you get $89-$95. Sometimes more! Santa Kevin likes to make gamers squeal with delight and often packs in $95-$100 worth of goodies into many Surprise Packages. It’s a surprise package because you never know exactly what you are going to get or exactly who will sign your books. We try to include many of the items on your “wish list,” but we will surprise you with stuff you are not expecting. Things like a special print(s), or issues of The Rifter®, or a Palladium RPG or sourcebook(s), a special edition publication, or other items that we think you might enjoy. Plus you can ask for unusual items, or special gold editions, art prints, miniatures and maybe even some original art. All items are “hand-picked” by Kevin Siembieda from YOUR “wish list.” ALL with autographs IF you request them. For many of you, this is the only way to get autographs from Palladium’s staff, artists and writers! The best deal in gaming. For the price of what you would pay for ONE core rule book, you can get an X-Mas Surprise Package with 3-5 different titles (depending on the value of each book) worth $89-$95, maybe more! And if you want them signed, Kevin and the available staff and freelancers will sign each one. It is impossible to beat that kind of deal. 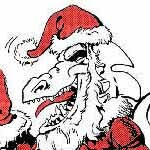 Please spread the word because Palladium’s Christmas Surprise Package is only publicized by word of mouth, to readers of The Rifter® and on Palladium's website – www.palladiumbooks.com – so please tell everyone you know. Buy one for every gamer you know and have a joyful holiday season. You can order right now. Ordering now gives you ample time to try out a Surprise Package if you are new to them, and you avoid the holiday rush. We always try to make each one truly special, as the thousands of you who have ordered in the past know well. If you have never ordered a Surprise Package before, give it a try early, because you’ll be blown away and probably want to order a few more! This is also a great way to try that game setting you’ve wondered about (Robotech® RPG Tactics™ core box set, Robotech® RPG, Rifts®, Splicers®, Dead Reign®, Chaos Earth®, Palladium Fantasy®, Heroes Unlimited™, Nightbane®, etc. ), or to get something for your favorite Game Master, or perhaps to get your player group to consider a new game or setting. Click here to see the entire Surprise Package description and to place your order! 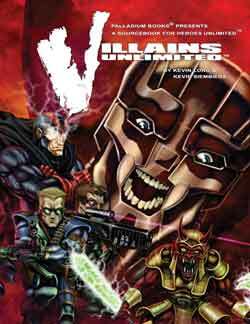 Rifts® World Book One: Vampire Kingdoms™ – 224 pages – $24.95 retail – Cat. No. 802-E – Updated descriptions on the Vampire Kingdoms and the vampires, 40+ vampire abilities, vampire combat, Hero Vampires, Deluded Vampires, vampire-slaying weapons, Vampire Hunter O.C.C., Reid’s Rangers (famed vampire hunters), the cities of Ciudad Juarez and El Paso, town creation rules, monsters, dinosaurs and many adventure ideas. Also see the Rifts® Vampires Sourcebook, with even more stuff about vampires, werebeasts, and the Soul Forge! Rifts® Shemarrian Nation sourcebook – 96 pages – $16.95 retail – Cat. No. 878 – 7 Shemarrian warriors, Shemarrian society and secrets, new Archie Three androids and robots, more about Archie Three, his secret war against the Minions of Splugorth in North America, adventure ideas and more. 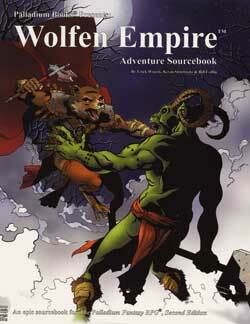 Monsters & Animals™, a Palladium Fantasy® sourcebook – 240 pages – $24.95 retail – Cat. No. 454 – 120+ monsters, 200+ animals, all described, statted and accompanied by maps showing exactly where they can be found in the world. Plus Game Master tips and conversion notes for Mega-Damage settings. 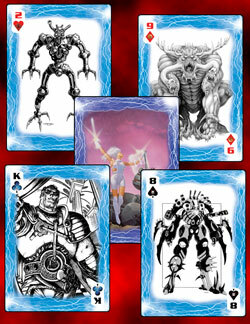 Suitable for Palladium Fantasy®, Rifts® and Phase World® (as alien creatures), Heroes Unlimited™ and other settings. Rifts® Dimension Book 6: Three Galaxies™ – 160 pages – $20.95 retail – Cat. No. 851 – 16 alien O.C.C.s and R.C.C.s, dozens of solar systems and adventure hooks, notable worlds, people and monsters, the Necrol and Demon Magic, spaceships and more. 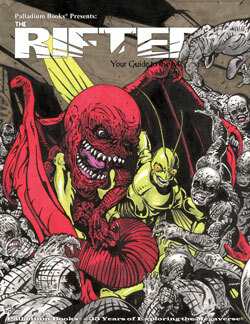 Rifts® World Book 29: Rifts® Madhaven™ – 128 pages – $16.95 retail – Cat. No. 869 – There may be no place in North America more dangerous than the haunted ruins of New York City. The ruins of Manhattan, ghosts and monsters, mutants and other dangers, the Knights of the White Rose and the incredible healing power of the mystical White Rose found only in Madhaven. Plus Techno-Wizard devices, weapons and adventure hooks. 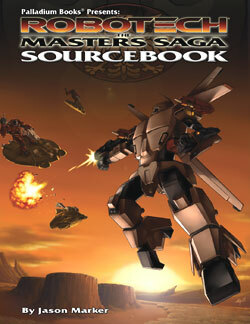 Rifts® Black Market™ sourcebook – 192 pages – $24.95 retail – Cat. No. 886 – Notable Black Market factions, 10 Black Market O.C.C.s and their special abilities, 29 weapons, plus vehicles, power armor, TW weapons, robots, Traveling Show creation tables, and more, including the TW Ironmage Glitter Boy! An awesome resource for players and G.M.s alike. The Rifter® #76 is already in production. Articles are being selected, artwork is being assigned and editing begun. Every issue of The Rifter® is an idea factory for players and Game Masters to generate new ideas and find new avenues of adventure. It provides useful, ready to go source material you can just drop into your ongoing games. A doorway to new possibilities and numerous Palladium role-playing worlds. And the many new characters, O.C.C.s, powers, magic, weapons, villains, monsters, adventures and ideas for one setting can be easily adapted to any Palladium setting. 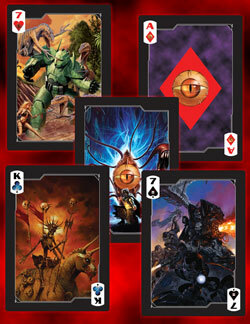 Every issue has material for Rifts® and usually 2-3 other Palladium game lines. 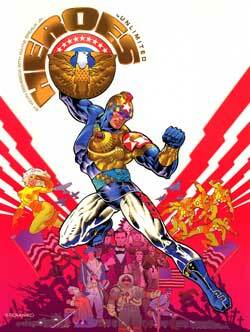 And don’t forget, most source material and adventures can be adapted to ANY of Palladium’s RPG settings. Rifts®, Three Galaxies and Palladium Fantasy RPG® – Primordians, by Greg Diaczyk with additional text and ideas by Kevin Siembieda – “official” source material. New type of Elemental beings that can be used as player characters or NPCs. These strange beings are believed to be some kind of human-Elemental hybrid. They possess curious minds and seem to be exploring the Megaverse® for reasons unknown. Are they emissaries of Greater Elementals or Elemental Intelligences, or something else completely? Do they come in peace, or are they a new potential menace? Get your first glimpse of them in The Rifter® #76. Plus there are some new alien beasts used by Promordians. 96 pages – $13.95 retail – Cat. No. 176. In production. Ships around November 21, 2016. 96 pages – $16.95 retail – Cat. No. 893. Fall release. In final production. 160 pages – $20.95 retail – Cat. No. 471. Back in stock. 224 pages – $24.95 retail – Cat. No. 501. Back in stock. 224 pages – $24.95 retail – Cat. No. 517. Back in stock. 224 pages – $24.95 retail – Cat. No. 503. Back in print. Rifts® World Books 1-32 with more coming soon. 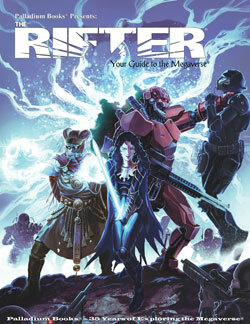 The Rifter® issues 1-69 with more coming. FREE Robotech® RPG Tactics™ paper game pieces, force organization tables, stat cards, rules and special items – and more coming soon!